Canada's national government research and development agency is being transformed and "refocused" into a service that provides solutions for businesses, Canada's Minister of State for Science and Technology says. Canada's national government research and development agency is being transformed and "refocused" into a service that provides solutions for businesses, Canada's Minister of State for Science and Technology announced Tuesday. 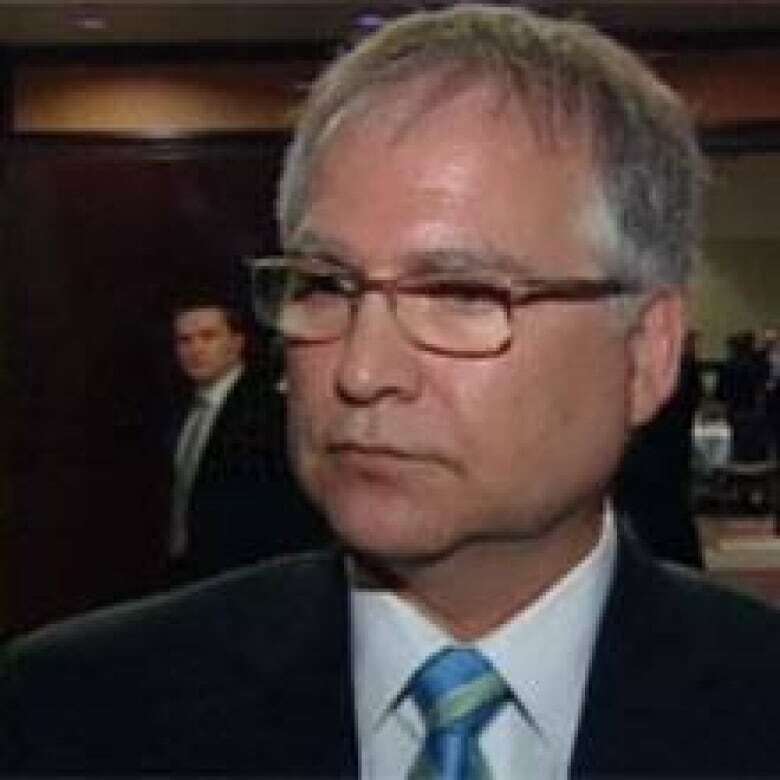 Gary Goodyear wants to refocus the National Research Council, once dedicated to basic research, to provide services to businesses. (CBC)Gary Goodyear says he envisions the National Research Council becoming a "concierge" service that offers a single phone number to connect businesses to all their research and development needs, as recommended in a report by an expert panel last fall. "It will be hopefully a one-stop, 1-800, 'I have a solution for your business problem,'" Goodyear said Tuesday, following a speech to the Economic Club of Canada in Ottawa. "It will be the powerhouse that takes the ideas from wherever they come from… and literally pushes those ideas into the marketplace through our business communities, as well as respond to the needs of the business community by providing, for example, research capacity and solutions." The panel that recommended changes to the NRC, led by Tom Jenkins, executive chairman and chief strategy officer of Waterloo, Ont.-based Open Text, was asked to address a persistent problem — Canada spends more than most countries to help businesses create new products. But it hasn't been paying off, and the participation of Canadian businesses in research and development is still lagging. The National Research Council, founded in 1916, is a government agency dedicated to research and development through more than 20 institutes and national programs specialized in areas ranging from plant biotechnology to aerospace to fuel cells. It has more than 4,000 staff across Canada. Goodyear acknowledged that originally, the NRC was developed to do basic research. But he said that was before Canada developed research strength at its universities. Over the years, "it's gotten weaker and more diversified," he said. "And we need to refocus it to produce a better outcome for our business community." Two years ago, the government hired a new NRC president, John McDougall, to help reshape the organization. Since then, the government has already begun taking steps to "refocus" the NRC, Goodyear said in his speech. That means looking at programs that are too small, redundant because they are done in other departments, or no longer meet the need they once did due to changes in the economy, he explained in a later interview. Some of the changes will be taking place immediately, some will probably be unveiled in the federal budget later this month, and some will be announced over the next couple of months, Goodyear said. "This is a great opportunity to focus the NRC more toward the business end, the applied end, the commercialization-successful end of any discovery," he added. Too many programs spread across too many departments. A research and development tax credit system that is too complex. A lack of policies to encourage innovation by making sure government purchases target innovative companies. Lack of access to financing at early and late stages of research and development. No research and development organization "sufficiently" dedicated to supporting business R & D.
A lack of leadership to oversee a "broad strategy" for business innovation. Right now, changes to address these issues focus on the NRC a little more, Goodyear said. But there are plans to streamline other research and development-related government programs, which currently number about 60 over 17 departments. "What I do see is less programs, same money," Goodyear said.